With its ideal location on the slopes of Les Menuires, the four-star Hotel La Kaya provides the perfect combination of comfort and convenience. The hotel has a warm, welcoming feel with all the facilities you could wish for including a heated indoor pool and fitness centre. The rooms are all south-facing with mountain views. The hotel combines traditional Alpine and contemporary styles with its restaurant, K, providing panoramic views over the slopes. The menu is a mix of traditional French and Italian cuisine with local specialities such as raclette also available. Alternatively enjoy views from the relaxing indoor pool, with steam room and sauna, or a massage. The spacious, luxurious and stylishly decorated bedrooms all have a balcony, bath, TV with international channels, CD and DVD player, ipod docking station, free Wi-Fi, bathroom products, bathrobe and slippers and hairdryer. The junior suite has an additional living area with single sofa bed and the Kaya Suite has a further alcove with bunk beds to sleep up to 2 adults and 2 children. In the evening, enjoy a cocktail in the bar and lounge pre-dinner, followed by a delicious fare in the K-restaurant. Les Menuires advertises itself as “Friendly Menuires” and Kaya lives up to that. 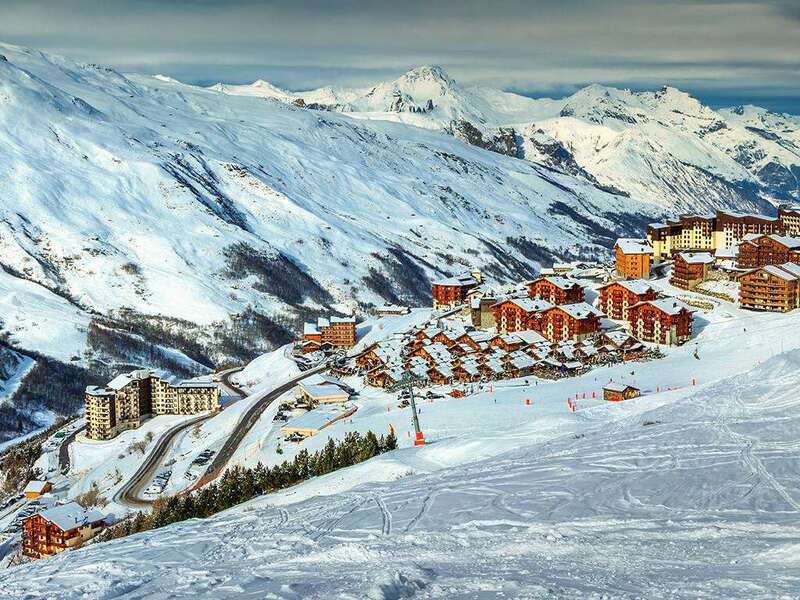 It’s a little out of the village of Reberty but right on the slopes with great views. The hotel is nicely appointed with a great restaurant, bar and sitting areas. Our room - 309- was a suite with fab views and loads of space. Big enough for a family of 4 if the children are small. We ate in the restaurant every night and the food just got better and better as the week went on. Our 3 grown up children joined us most nights (they were working or staying locally) and the restaurant went out of their way to make them welcome. There’s a good spa/sauna pool area, a ski and boot room which leads onto the piste and a good bus service to the main village of Menuires. Very happy and highly recommended!